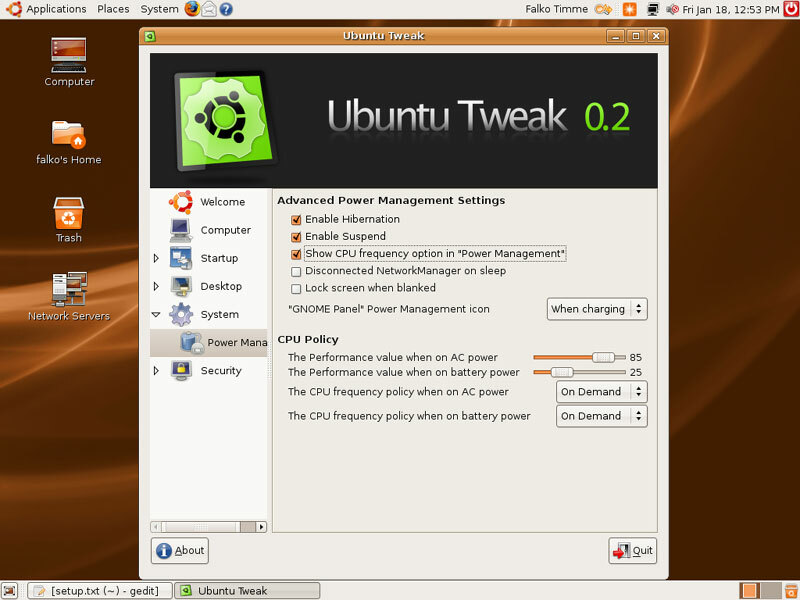 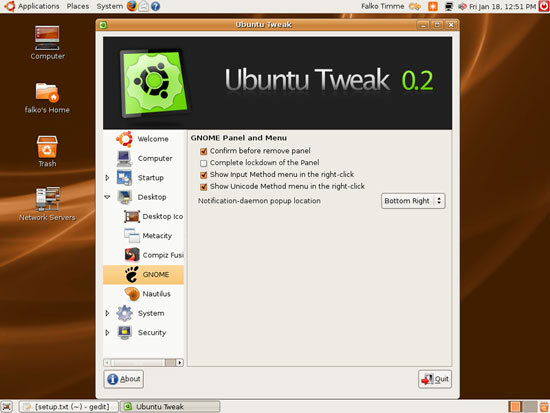 Ubuntu Tweak is a tool that lets you change hidden Ubuntu settings, for example: hide or change the splash screen, show or hide the Computer, Home, Trash, and Network icons, change Metacity, Nautilus, power management, and security settings, etc. 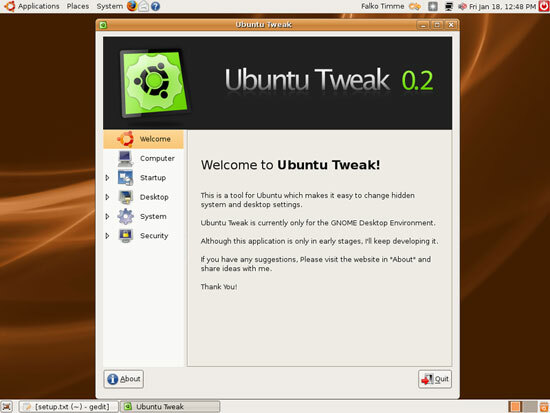 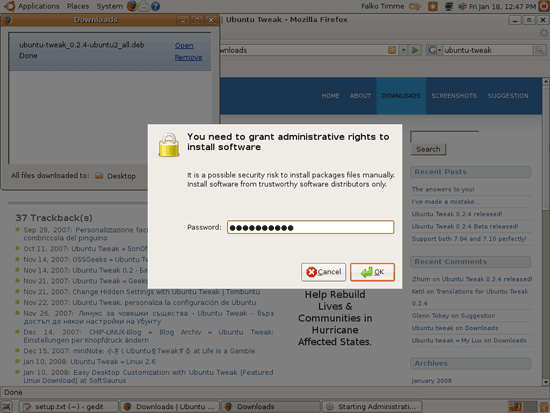 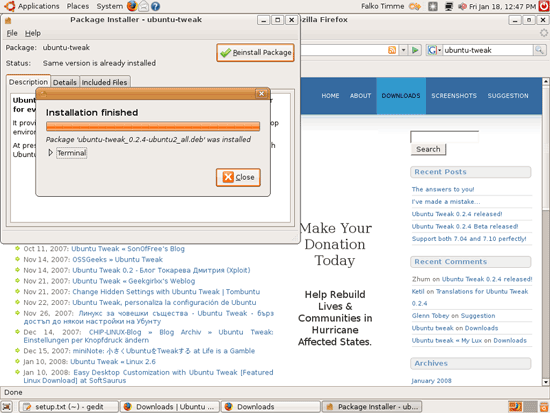 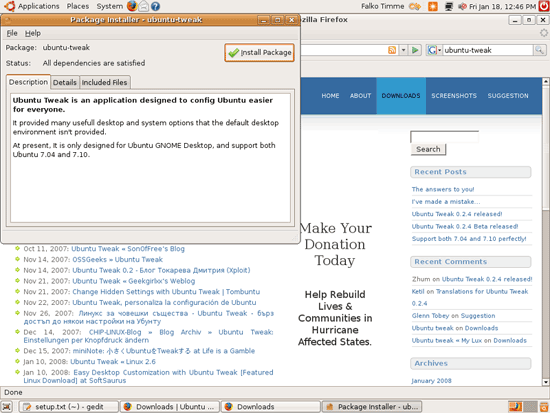 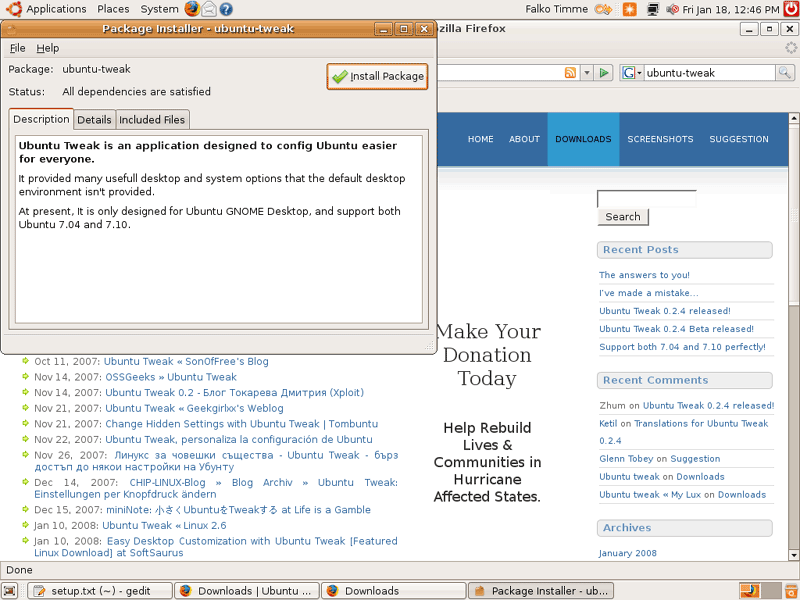 Currently Ubuntu Tweak is available only for the Ubuntu GNOME desktop, i.e., it will not work on Kubuntu or Xubuntu. 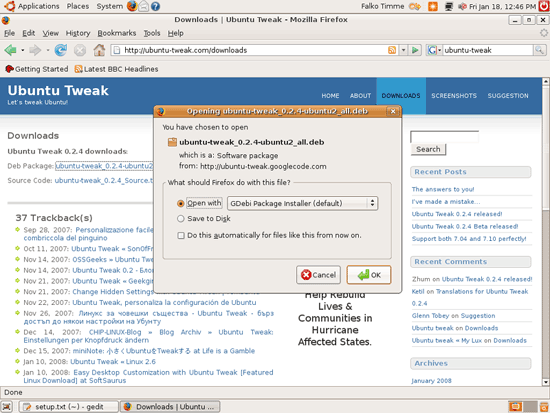 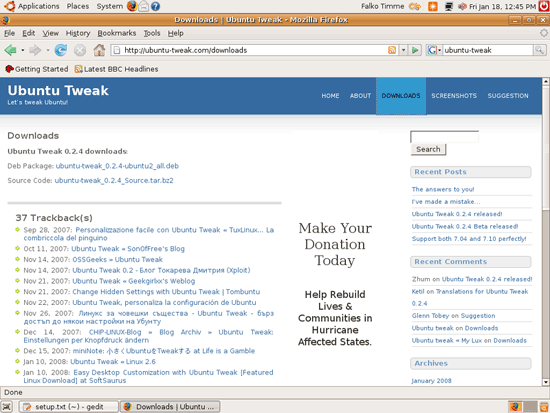 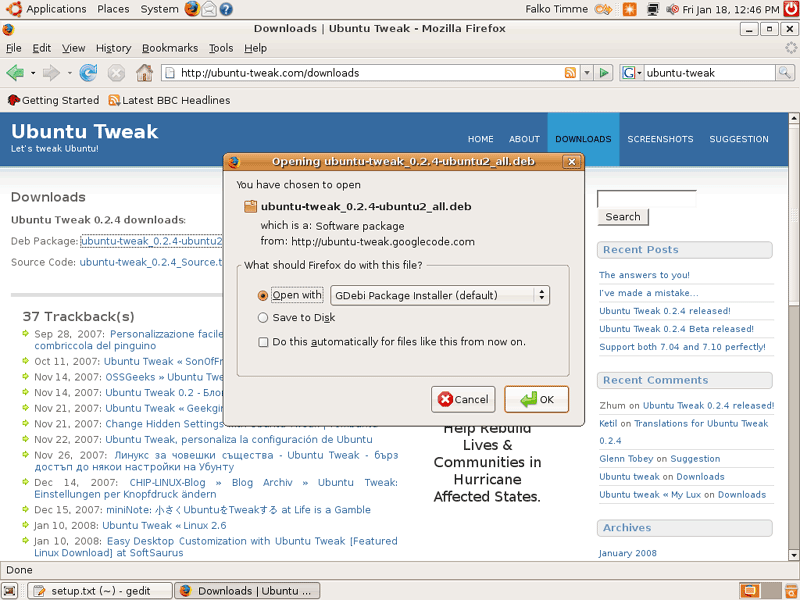 This short guide shows how to install and use Ubuntu Tweak.